Like its Southern California influences in the Paisley Underground (Rain Parade, Three O’Clock), named as an homage to the psychedelic heyday of Jefferson Airplane and Strawberry Alarm Clock, the Green Pajamas must hold the world’s record for most albums (somewhere around 30) recorded by a band with the fewest number of live appearances (somewhere more than 30) over a career that has spanned almost 30 years. Jeff Kelly and Co. recently released longplayer Death By Misadventure via longtime Pajamas label Green Monkey. 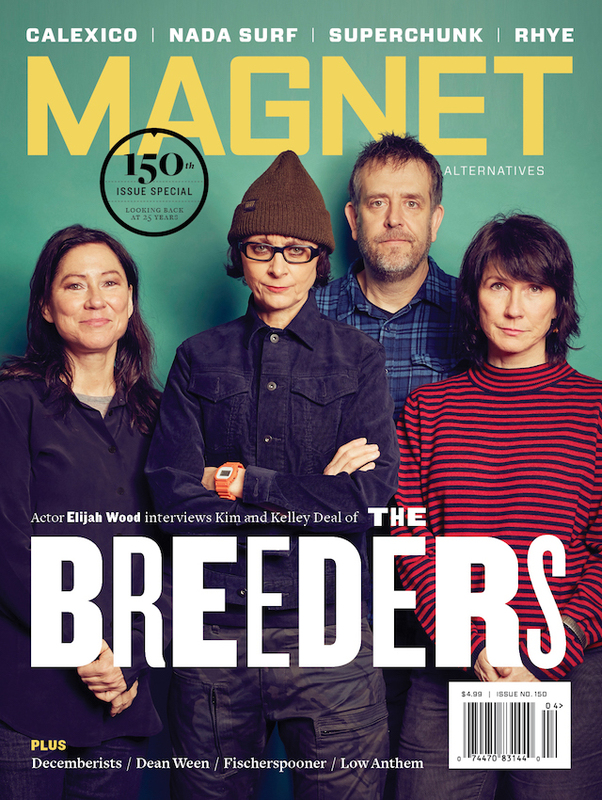 Kelly and bandmates Laura Weller and Eric Lichter will be guest editing magnet magazine.com all week. Read our recent feature on them. Kelly: One afternoon, in the midst of some casual research on Lewis Carroll’s photography, I stumbled upon something wonderful: the work of Australian photographer Polixeni Papapetrou. She had created a series of modern Carroll interpretations called Dreamchild, and as one can now do, living in this wondrous time in history, I was looking at all of her work in just a couple clicks out of Google. The series Phantomwise, Dreamchild and Wonderland, all inspired by that great 19th-century author’s photography, are absolutely stunning. But then, as you investigate further, her work keeps getting better and better! Poli’s art often seems to present innocence standing on the edge of some undefined darkness; there is mystery and a shadowy unease that falls over her beautiful subjects like a distant storm approaching on the horizon, even as the sun is shining above you. Take a look at her series Games Of Consequence 2008. My wife Susanne and I had the very good fortune to meet Poli in Melbourne, Australia, while visiting the late Tony Dale and his wife, Carol. I had emailed her, saying I was a big fan and wondering if she might have any work on display in town while we were down there. She said, “Sorry no, but why don’t we meet for coffee?” I was frankly astonished and of course, agreed. She met us in the National Gallery of Victoria for coffee and truffles. Susanne and Poli immediately hit it off, just as I knew they would, talking about art, having children and their love of Lewis Carroll. I remember her excitedly showing us new work from her then-upcoming series, Between Worlds, on her iPhone. She gave us an impromptu tour of the museum and walked us back to our train via the Melbourne Lanes. oli was extremely generous and very gracious. Her electrifying presence crackles and flows into all of her beautiful pictures.